The new SON 28 is reminiscent of the SONdelux in structure and looks. 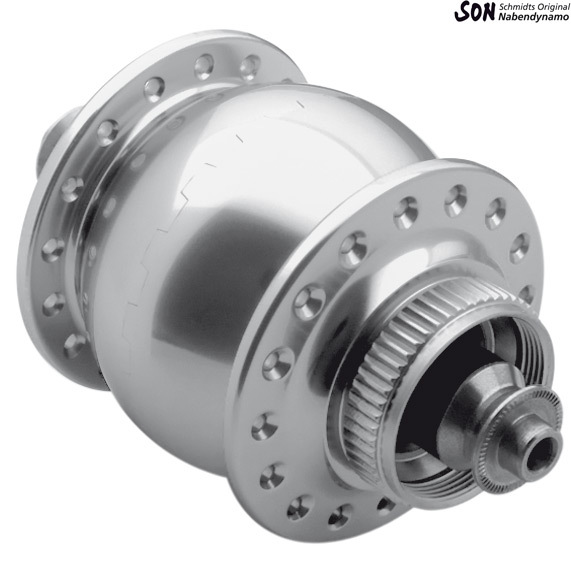 In the standard version (non-disc), the flange distance is enlarged by 12 mm and the bearing distance by 10 mm as compared to the SONdelux. Disc versions are avaialble as 6-hole and as center lock. Compared to the SON 28 klassik (model years 2000 to 2011), the power consumption when no load applied is reduced by approx. 15% and the weight by 140g..